Welcome on my blog. A blog to know more about my my passion to innovate and how I am using this passion in my professional live. My passion is to build innovative enterprises that make the difference. I don’t think you have to think different to make the difference. 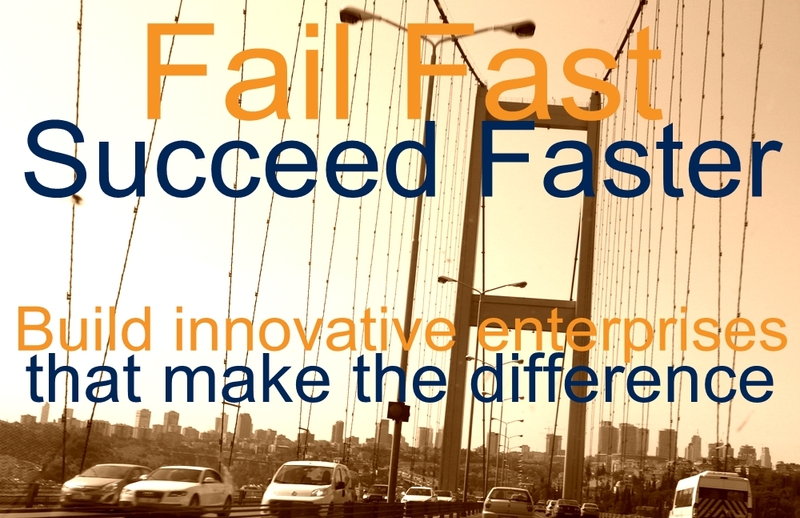 It is a process of fail fast, succeed faster but validate the lessons learned. Focus on the problem and not on the solution. Test, measure and fail to setup the a new test, as long as the problem is solved by the right solution. Make things people can use to improve their life or businesses. An Agile way of working, based on proven methodologies like Lean Startup, Customer Development and Scrum. Make the difference, by using technology in the right way. Technology itself is not the target. It doesn’t matter if it is a product or service for consumers or for businesses. But in the end it will be integrated in real life. A life which connect people and devices to make life better. I am realizing to make the difference by using my skills. I am an experienced, international oriented entrepreneur, especially in the operational part of setting up a company. In the last 15 years, I build various great teams up to 40 people in 3 countries (Poland, The Netherlands and Belarus). Teams focused on product development including software development, customer support, operational- and financial tasks. All for own startups without external Investors. Recruitment: founded stageafstudeerportal.nl together with Hogeschool van Amsterdam, Inholland and Amsterdam Economic Board. Bootstrapping/funding: Funding is often the base to start a company but bootstrapping (starting a business without external capital) is better. 2010-10-11 by Ywan van Loon filed under .